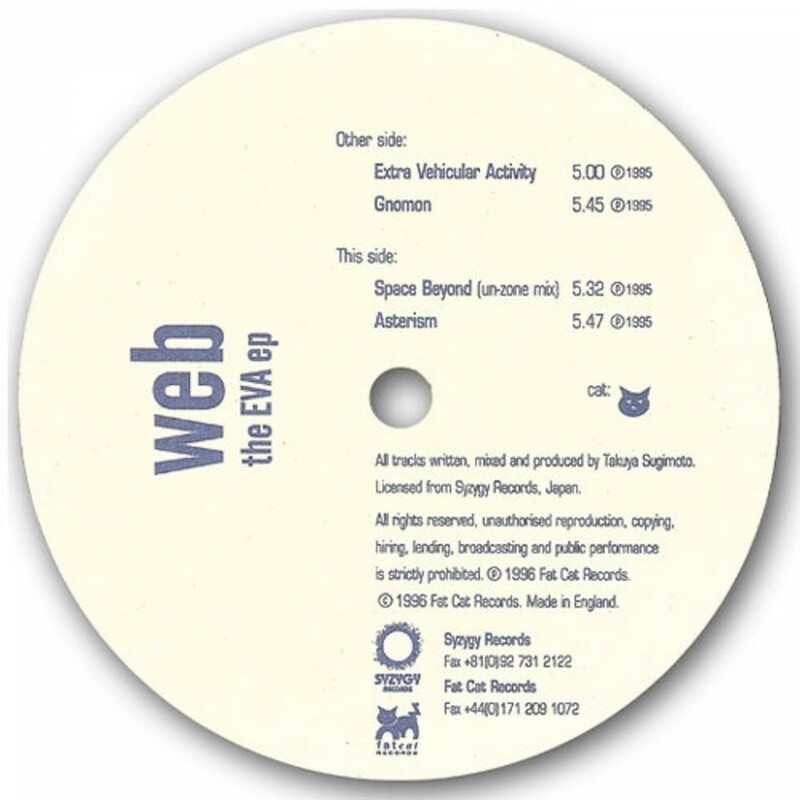 Released in 1996 before the FatCat shop's forced closure, Web's 'EVA' EP holds the distinction of being the very first release for the FatCat label. The work of Japanese artist Takuya Sugimoto, 'EVA' served up four unique tracks of fierce, fluxed-up techno - not so far removed from compatriots like Ken Ishii or Boom Boom Satellites. After this release, contact was lost with Web, and little else is known about the artist.